Blackadder has given us many quotes design to make us chortle, but this really is one of the greatest quotes in TV history, let alone Blackadder history! Initally said by Queen Elizabeth, it has transcended Blackadder to become a joke stencil for TV shows across the world! 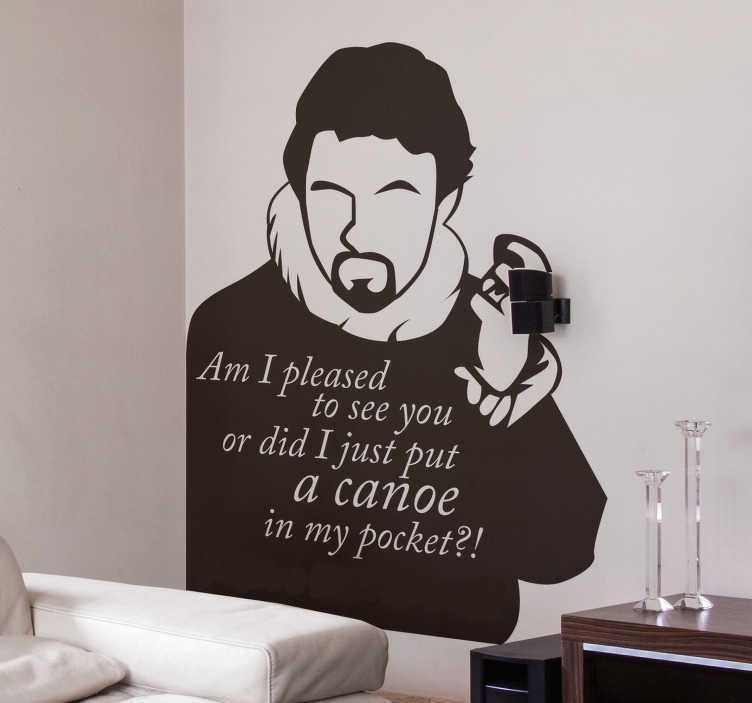 This fantastic quote sticker reads ´Am I pleased to see you or did I just put a canoe in my pocket?´. Perfect TV decor for all those Blackadder fans in the world!